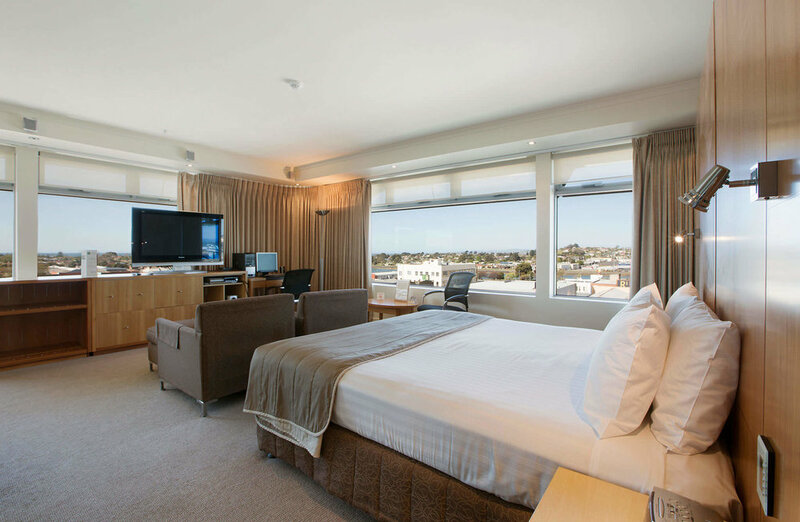 The Quality Hotel Gateway offers a wide selection of contemporary accommodation, centrally located in the heart of Devonport's CBD. We have Executive King Rooms, Deluxe Spa Rooms and Junior Deluxe Spa Corner Rooms as well as Standard rooms for you to choose from. Our top floor contains deluxe rooms, superbly appointed with luxury fittings, and magnificent views across the river and out to sea. Our top floor Deluxe Spa and Deluxe Junior Suites offer the luxury of first class style without the first class price tag. All guests must produce valid photo ID and a pre authorisation will be performed on valid credit card at check-in. All rooms are equipped with the following standard room facilities. A range of extra facilities are also available which are featured according to room types. 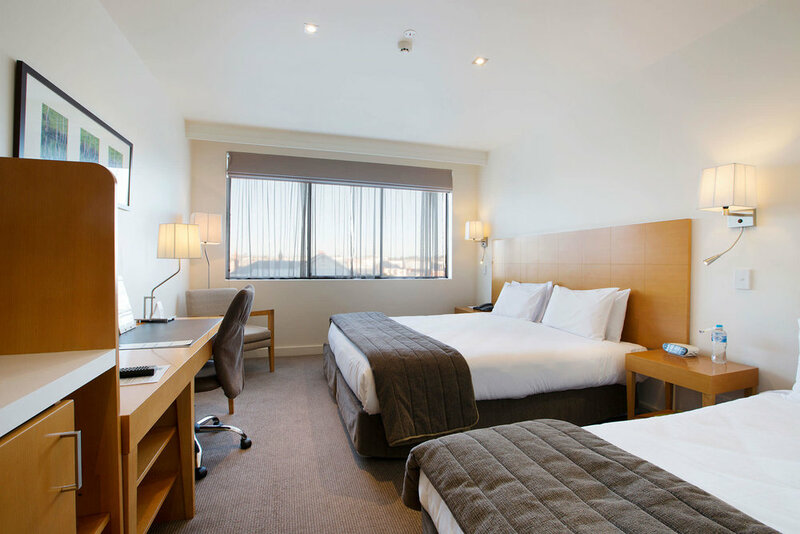 Our Studio Family Rooms offer comfortable, modern accommodation for three guests, with a king-sized bed and a single pull down beds as well as private ensuite bathroom. Each room features a flat-screen TV, work desk, bar fridge, mini bar, tea & coffee making facilities, ironing facilities, and access to free Wi-Fi.